Yesterday, our Event Manager Sean, was promoted to Senior Event Manager. Due to his sheer hard work and drive, we decided it was time for him to step up. We’re employee obsessed at Get Staffed UK and provide plenty of opportunities for progression and development. We train our Go-Getters to be the best they can be, and Sean is a prime example of progression within the company. Sean joined us less than 12 months ago, going from Trainee Event Manager, to Event Manager, to Senior Event Manager within just a few months. 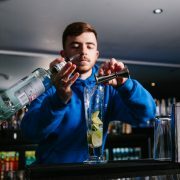 Sean is now responsible for our 6 week cocktail training programme, which he has developed himself, demonstrating his commitment to the company. Sean is an absolute grafter! He provides a prime example to our employees on shift and provides excellent customer service at every event, which doesn’t go unnoticed by our clients. Even with such a huge year ahead of us, 2018 will be a breeze with Sean on our team! Thank you Sean and congratulations on your recent promotion. First up… The Sub 36 Employee of the Year Award for Tom Craig, our Operations Manager. Tom was shortlisted as a finalist for this award – and deservingly so! Tom has been here since the very start of Get Staffed UK and is so enthusiastic about the development of the business that he’s soon to be a director! We are over the moon with the progress which Tom has made since coming on board and as his role becomes more and more strategic due to our overwhelming growth, he’s continued to be an excellent line manager to 10 Event Managers and helps them every step of the way. His consistent can do, positive attitude has helped to drive the business forward, he is always there if any member of the team needs him and makes sure that every single member of the team gets the praise which they deserve, so we believe it’s only right he was a finalist for the award and got the praise he deserved! Next up… The Sub 36 Entrepreneur of the Year Award for Tom Havlin, our Managing Director and Founder. Tom has been working unbelievably hard on breaking down conventional hospitality barriers and due to his sheer determination and drive to make a change, was shortlisted as a finalist for this award! Tom is constantly thinking of new ideas and driving the business forward with his open mind. Due to his perseverance, Get Staffed UK has grown and grown, from 3 small Preston based clients to over 40 clients throughout the North West and beyond. Tom has worked incredibly hard, meaning Get Staffed UK has been able to achieve great things including training over 1300 members of staff, partnering with some amazing brands and more recently launching Get Trained UK. Get Trained UK are our sister company, who provide accredited qualifications, specific to the hospitality industry. http://wp.freedomofcreation.co.uk/getstaffed/wp-content/uploads/sites/116/2018/02/Finalist-Logo.jpg 341 1191 georgie http://wp.freedomofcreation.co.uk/getstaffed/wp-content/uploads/sites/116/2016/08/Get-Staffed-Lrg-300x200.png georgie2018-02-07 16:44:232018-07-30 11:24:36We're Finalists!!!!! 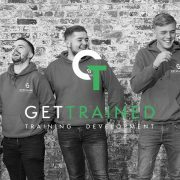 Here at Get Staffed UK HQ, we have recently launched Get Trained UK, our sister company who specialise in providing accredited hospitality training for individuals who are interested in progression and opportunities within the industry. As a group, we are on a mission up eradicate the lack of skilled labour within the hospitality industry, removing traditional training and recruitment barriers, whilst delivering transferable skills and opportunities to employees. Get Staffed UK has gone from strength to strength, with a number of high profile client wins, and the continuous growth of the business has attracted experienced hospitality sector investors. 2018 is already proving to be a successful year, with clear goals and objectives to move the company further along its growth journey. In the last six months, we’ve trained over 1000 members of our team, putting them through an innovative, in-house training programme, aimed at delivering a consistently high quality service. The programme has been a huge success, ensuring clients receive a flexible and trained workforce, to support their event operations. It is the success of this programme that has prompted the Tom & Tom to formally diversify their operations and form GetTrainedUK. GetTrainedUK will deliver accredited and recognised qualifications, building on the existing in-house programme, to over 2500 employees over the course of 2018. This high-quality training, for such a large number of people, is a massive boost for the local hospitality sector and region as a whole. 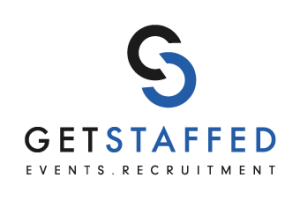 In addition to training large numbers of hospitality workers, GetStaffedUK will also place them into the workplace, providing a massive economic benefit and solidifying the success of The Get Group’s business model.